Welcome to the Let’s Grow Leaders Frontline Festival! This month we are celebrating each blogger’s favorite post of the year (as identified by them). It’s always so much fun to see what emerges as the very best, and which topics rise to the top, after all the consistent writing of these amazing thought leaders. Thanks to Joy and Tom Guthrie of Vizwerx Group for the great pic and to all our contributors! The January 2019 Frontline Festival will be about setting your team up for an amazing year. 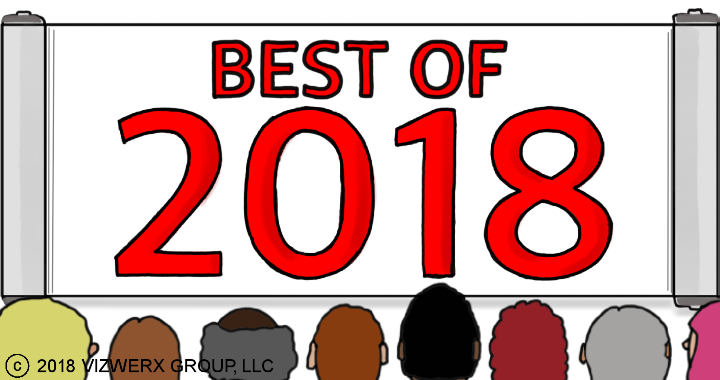 We have an open call for exceptional blog posts, podcasts, and videos that will help set managers up for success in 2019 (e.g. goal setting, employee development, strategic planning, visioning). New contributors welcome. Send us your submissions here! Beth Beutler of H.O.P.E. Unlimited reminds us that Sometimes Helping People Means Letting Go. Have you ever had to say “goodbye” to a client, customer or great job? Beth reminds us that stepping away isn’t always a bad thing. Follow Beth. Rachel Blakely-Gray of Patriot Software, LLC gives us Five Ways to Improve New Employee Onboarding. A poor onboarding process can essentially push employees out the door and into another company’s arms. Learn how to improve onboarding at your small business to help you hang onto top talent. Follow Rachel. Chris Edmonds of Driving Results through Culture gives us a Culture Leadership Charge Video: We the People. Civility is in short supply in our world today. Chris believes that the US has strayed far from the foundations as a republic. In this post and 3-minute video episode, Chris specifies three ways we each can boost integrity, inclusion, and service to others, every day in our homes, communities, and workplaces. Follow Chris. Jon Mertz of Thin Difference offers “Stick It to the Man” – the Danger of Bystanders. “Stick it to the man” was an expression of protest against too much power or wrongdoing. Today, it’s become a meaningless chant for bystanders. Now is the time to encourage upstanders! Follow Jon. Nate Regier of Next Element Consulting gives us Beyond Rapport: How to Increase Engagement with Coaching Clients. This was the most visited post on Nate’s blog in 2018. Connect with and engage coaching clients at a deeper level by adapting your communication and motivational strategies to fit their personality. Follow Nate. Chip Bell of Chip Bell Group gives us How to Lead Middle Aged Minnesotans with a Swedish Accent. Chip observes, “We are experiencing a siege of prescriptive approaches on how to lead people who are (fill in the blank with your favorite typecast.) My personal favorite is middle-aged Minnesotans with a Swedish accent. We could add to this group “introverted amiables with ISFJ Myers-Briggs scores! !” “All generalizations are false,” said Mark Twain, “including this one!” Follow Chip. 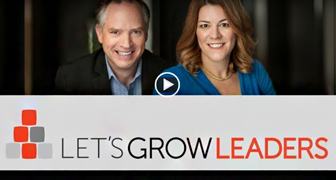 Ronni Hendel of InsightOut Leadership provides The Habit of Curiosity. Curiosity is so much more than a personal attribute. It’s a practice to develop, a skill to hone and a mindset to adopt—a habit. In this post, she explores both the importance of curiosity for leaders and ways to bolster one’s curiosity. Follow Ronni. Ed Krow of Ed Krow, LLC shares What My Daughter’s Golf Tournament Has to Do with Performance Management. This was one of the most-commented-on posts for Ed this year–people related to the simple leadership message it contains. Follow Ed. Paul LaRue of The UPwards Leader asks, Do You Know the Temperature of Your People? Temperature checks can be great, informal ways to have a dialogue with your people and get their views on your culture and what’s working, or not. Follow Paul. 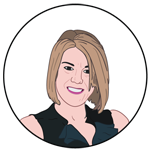 Eileen McDargh of The Energizer shares The Care and Feeding of Virtual Teams. The good news about technology is that teams can be spread throughout the world, offering a rich background for global enterprises. The difficult news is that time zones and the absence of visual interaction can cause teams to stumble or even fail to start at all. Follow Eileen. Sebastian Hurt shares one of our signature Winning Well concepts, the art of ditching the diaper genie when having tough conversations. Ken Downer of Rapid Start Leadership provides The Power of Asking Questions: 7 Ways Questions are More Powerful than Answers. In our desire to prove our competence we often find ourselves in a hurry to provide good answers. But as leaders, there are at least seven reasons why asking good questions is really the smarter move. Follow Ken. David Grossman of The Grossman Group gives us The Art of Active Listening. The concept might seem simple, but active listening – that is, fully concentrating on what’s being said – takes work and practice. The results can make a significant difference in the quality of relationships, followership and overall results. Sharpen your listening ears with these 5 steps and then take our free listening quiz… the results just may surprise you. Follow David. Cheri Torres of Conversations Worth Having reminds us about Restoring Civility. What if each of us chose to stop engaging in these debates and word matches? What if instead we chose to shift the conversation, inviting civility simply by asking questions that demonstrate care and respect while creating a positive tone and direction for the interaction? Here are a few suggestions for how you might use questions to shift a conversation. Follow Cheri. Julie Winkle Giulioni of DesignArounds gives us Learn-Gevity: Enhancing Your Ability to Learn, Perform and Succeed Over Time. 2019 will likely be more dynamic, chaotic and uncertain than 2018. As a result, building the sustainable capacity to continuously learn, grow and remain relevant only becomes more important. Here are seven strategies for making it happen. Follow Julie. Wally Bock of Three Star Leadership asks, Why are There So Many Bad Bosses? There are lots of bad bosses out there, way too many. But it may not be their fault. Follow Wally. Lisa Kohn from Chatsworth Consulting Group gives us Vulnerability is Not a Dirty Word, It’s a Leadership Skill. Lisa questions the myth that we need to always be strong and infallible and offers reasons why vulnerability is actually an important part of being human and of leading well. Follow Lisa. Shelley Row of Shelley Row Associates tells us When to NOT Trust Your Gut. Shelley’s example of a helicopter pilot is a great reminder of the times when it’s best NOT to go with your gut. Follow Shelley. Erica Marois of UBM challenges us with Want to Improve Quality? 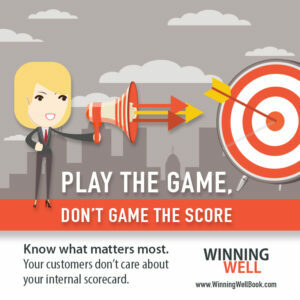 Ditch the Score from Your Scorecards. Scorecards are a standard component of most quality management programs. Learn more about NFCU’s unique approach in this interview with Kristy Powers (aka K-POW), their manager of COO Quality Service. Follow Erica. Tony Mastri of Marion Marketing gives us How to Choose an SEO Company for Your Business. Marketing has become more technical than ever before, and it can be difficult for businesses to properly vet marketing agencies and SEO companies. This well-received guide includes items to look for (and others to avoid) while choosing an SEO company for your business. Follow Tony. Jon Verbeck of JonVerbeck.com reminds us that Business Leaders Must Understand the Basics of Financial Statements. “I’m not an accountant” or “I’m not a numbers person” is not an excuse for a leader not to understand the basics of important financial documents. Follow Jon. We are so delighted to work with so many amazing leadership experts each month to produce our Frontline Festival. Thank you for an amazing 2018 and we look forward to more collaboration in the coming year. “Why doesn’t anyone care? Don’t they get it? There’s no one I can trust or depend on!” We have heard those frustrated words from more than one senior leader across a range of industries. If you’ve ever heard this or said it yourself, it reveals a severe problem in your talent development and, ultimately, the future of your business. When a crisis hits or a “move now” opportunity presents itself, you don’t have time for talent development. You’ve got to respond. If your business context is legitimately a series of crises or opportunities with short windows, having the right people equipped with the right skills become even more important. 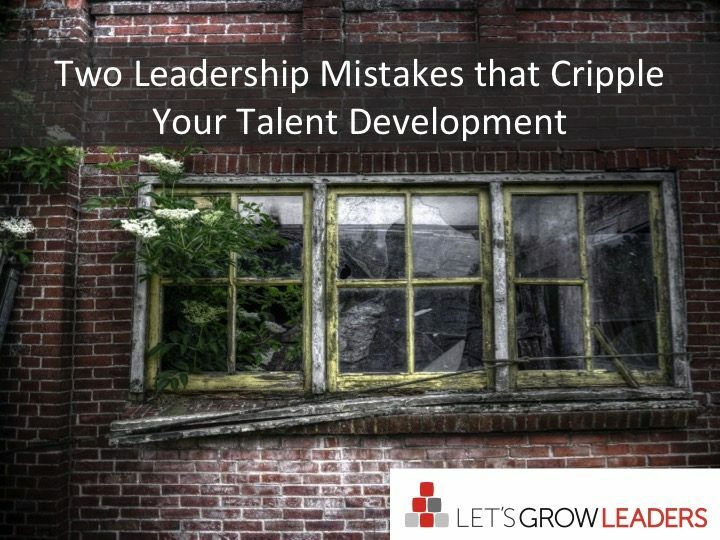 When leaders struggle with talent development and feel as if there is “no one who cares or is capable,” there are likely two mistakes that are crippling your talent development. 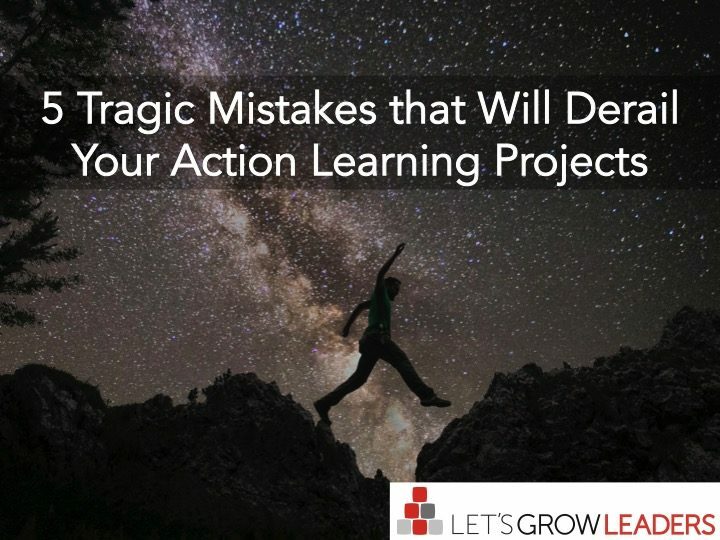 The good news is that you can overcome both of these mistakes and help your people grow into the leaders you need. Germaine had a reputation as a talented general manager. He had recently been hired to lead a major change initiative. When he arrived at the new job, he reported to a senior vice president who was busy with several other high-priority crises. As the months went by, Germaine started removing talented, “ready now” leaders, replacing them with people who would do what they were told without asking questions. His department saw an increase in HR complaints about harassment and several complaints were settled with financial payouts. Within 18 months, Germaine’s change initiative had stalled. The CEO investigated and discovered that Germaine, who by all prior reports had been a stellar leader, had nearly destroyed the department. He fired Germaine and his SVP and had to rebuild the department and its leadership, from scratch. This is an example of the first common talent development mistake leaders make: Anointing. In business, it happens when a leader sizes up someone and mentally labels them as a “golden child” who can do no wrong. This happens regularly – leaders are busy, they want to think the best of people, or they are vulnerable to someone’s charisma and flattery. You don’t pay attention – you stop evaluating results objectively and just trust that the right things are happening. You don’t hold them accountable – because you’re not paying attention, you don’t have the information you need to practice healthy accountability. They stop growing – without attention, accountability, or coaching they don’t get the healthy feedback they need in order to grow. Often, they’ll fall back on natural tendencies, which, in Germaine’s case, were fatal to his SVPs career. They get in over their head – due to their great reputation, anointed employees are often given assignments they’re not prepared for. These can be learning opportunities, but only when they’re supported with a scaffold of training and feedback. Without this scaffolding, the employee who knows they got the job on the strength of their reputation goes into overdrive working on their reputation – not the business. Eight weeks into her new job, Patricia’s first meeting with the general manager (who was her boss’s boss) didn’t go well. The GM asked Patricia how things were going and Patricia, an affable and compassionate person, replied with a long description of how she liked her co-workers and how delightful some of the customers were. The GM’s eyes glazed over until she excused herself from the conversation and Patricia went back to work. Patricia’s supervisor tried in vain to persuade her boss of Patricia’s merits. A year later, Patricia transferred to another division in the company and became a very successful leader. This is an example of the second common talent development mistake: staining. Staining is when a leader has one or two encounters with an employee and extrapolates from those brief encounters to assess their entire acumen and potential. The person is forever “stained” in their mind. You don’t give them feedback – because you don’t believe they have potential, you stop giving them the feedback they need. You don’t give them opportunities – the “stain” prevents you from seeing potential so you don’t want to “waste” it on people who you don’t believe will benefit from it. In order to fully develop your people and help them become the best version of themselves, you’ve got to have a realistic perspective. Your best employee can screw up and your struggling employee can turn the corner and contribute. People are a mix of strengths and it’s your job to draw out those strengths. 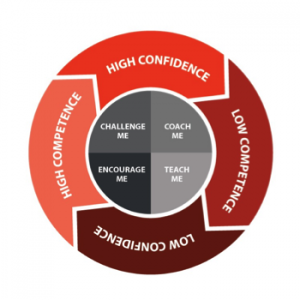 In order to avoid anointing and staining, use a tool like the Confidence – Competence model to regularly assess your people. Where are they most competent? Where do they lack critical competence? Where are they most confident? Where do they lack confidence? And, most importantly: what do you need to do to help them grow and take their next step? Every employee can grow with the right combination of opportunity, accountability, and encouragement. As a leader, you never outgrow your responsibility for talent development. We’d love to hear from you: Leave us a comment and share your experiences with anointing or staining and how you avoid these mistakes. 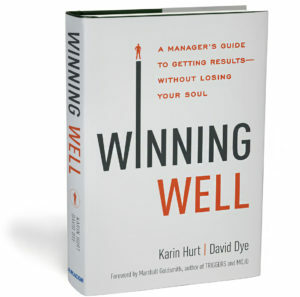 You can read more on building pockets of excellence in our book Winning Well: A Manager’s Guide to Getting Results-Without Losing Your Soul. As we’ve been traveling for our book tour and media interviews, David and I consistently get asked questions we imagine may be on your mind as well. So as we begin our official launch of Winning Well, we share with you why we believe this message is so vital for you and your organization. If you haven’t picked up a copy, you can get it on Amazon, in hardback or audio version. If you’re looking to buy them for your team, CEO Reads offers some great quantity discounts, and we would be happy to customize with a personalized template. What does it mean to Win Well? Winning Well means that you sustain excellent performance over time because you refuse to succumb to harsh, stress-inducing shortcuts that temporarily scare people into “performing.” You need energized, motivated people all working together. Your strategy is only as strong as your ability of your people to execute at the front line, and if they’re too scared or tired to think, they won’t. You can have all the great plans, Six Sigma quality programs, and brilliant competitive positioning in the universe, but if the human beings doing the real work lack the competence, confidence and creativity to pull it off, you’re finished. Managers who win well bring confidence and humility in equal measure and focus on both results and relationships. What distinguishes a Winning Well manager from a “User,” “Pleaser,” or “Gamer” manager type you discuss in your Winning Well model? 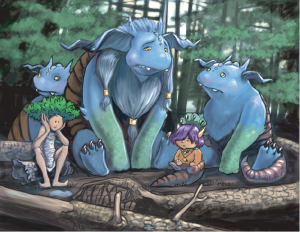 What initial feedback are you hearing about the book? Next, we continue to be told that our tools are “disarmingly simple” and practical. 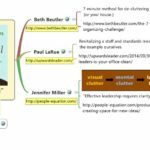 Many readers have shared their appreciation that they are immediately able to take the tools and techniques we share and apply them with their team. I just finished reading Winning Well (it’d been on my Amazon pre-order list for more than a month, and I devoured it as soon as it arrived) and wanted to reach out to thank you and David for a fantastic book. 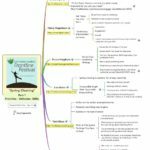 Your book made explicit a lot of things I’ve been doing intuitively, and highlighted some places I can step up and do even better. I’m super excited to put those things into practice and to continue to grow my leadership skills as a result. I also wanted to share with you my story about the power of authenticity and vulnerability, because I truly believe it is the key to everything I have achieved in my career in the last few years. The full (and powerful) story of this woman’s journey to authenticity and the impact on her career is here. 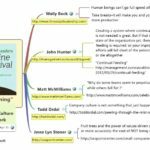 Buy books for you and your team and write an Amazon review. Invite us to speak to your organization or conference. Join our ruckus on social media (shareable tweets, images, and sample chapters can be found on our website). How did you manage to co-author a book and still stay friends? 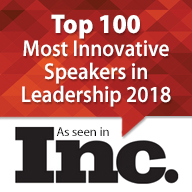 Ahh, we will be sharing secrets on this one at our breakout session at the National Speakers Association Convention in Phoenix in July, and in an upcoming blog post…stay tuned. If you’re like me, you think more about getting fit when the days start to require less clothes. What if you also used summertime as a time to pay a bit more attention to your leadership fitness? Similar strategies apply. In fact, they work all year round (I put that in for my many Aussie subscribers in the midst of Winter). The best way to learn is to get your heart rate going. Bigger challenges require extra effort. If your job’s starting to feel a bit like a Sunday stroll, it’s time to pick up the pace. Take on a special assignment. Dig deeper. 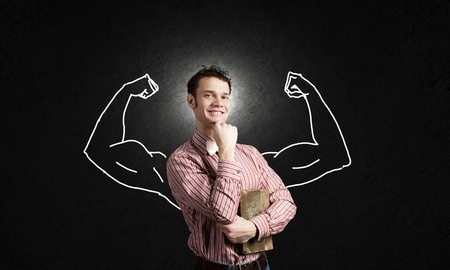 Exhausting your mental leadership reserves is a great way to build new muscle. I’ve never met anyone who loves push-ups. They’re low on the list of intrinsic satisfiers. But they’re damn effective. Becoming a better leader is hard work. Maybe for you that’s finally having that difficult conversation with that arrogant co-worker. Or perhaps, it’s sitting down and having that important conversation with the guy you your team that would be better served (and of service) in a different role. The best way to expand your skills is to do something new. Consider a rotational assignment or go shadow a peer in a different department. Don’t forget to stretch. You can’t be anaerobic all the time. Work hard on your leadership, and then give yourself opportunities to rest and reflect. When you take time to consider what’s working and what to improve, the next go will be a bit stronger. Welcome back to the Let’s Grow Leaders Frontline Festival. 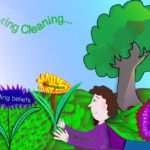 Our April Festival is all about spring cleaning. Thanks to Joy and Tom Guthrie of Vizwerx Group for the great pics and to all our contributors! Next month’s Festival is all about energizing leadership. New contributors welcome. David Dye of Trailblaze acknowledges that whether you’re a veteran leader or a first-timer team leader, there are fundamentals that are easy to forget but vital to remember. Spring is a great time to clear your head and focus on these 15 tips David shares to remind you what’s really important for you and your team. Follow David. Chery Gegelman of Simply Understanding asks, “Have you ever… been bored from a lack of a challenge, tempted to rest on past successes, or gone in search of greener pastures just to grow?” Continuous Improvement increases satisfaction, engagement and growth – right where you are! Follow Chery. 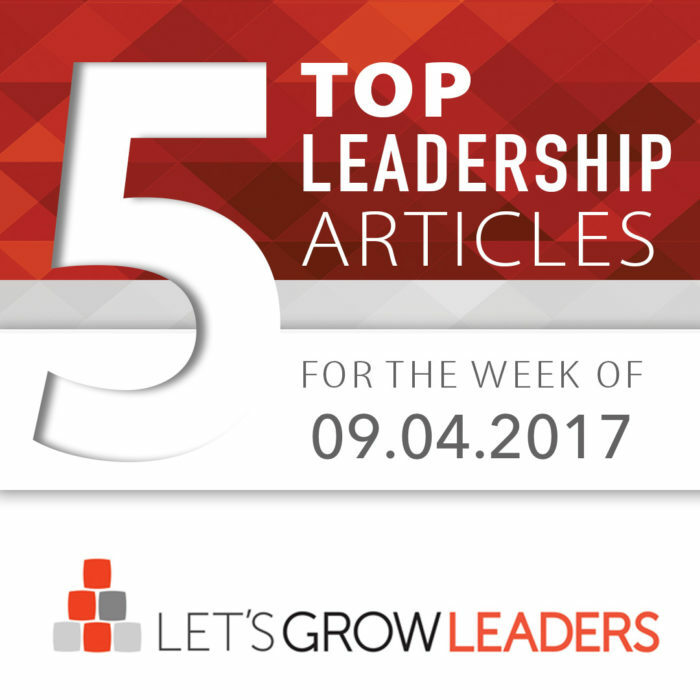 Bruce Harpham of Project Management Hacks says “Spring is a great time to be proactive in renewing your leadership using these 5 strategies. Review your progress on annual goals, discover good books for leaders and how to give back to your network.” Follow Bruce. In the post, When is it time to do nothing? 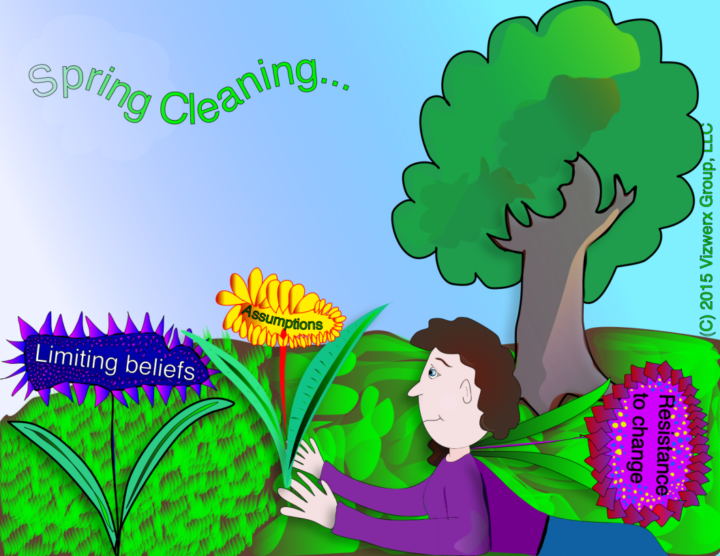 Lisa Kohn of Thoughtful Leaders shares that spring cleaning is essential for strong leadership, and that it’s possible to get there by actually doing nothing. By stepping back to take a breather, you can recharge, refresh, and renew and then enjoy your new outlook and enthusiasm when you step back in. Follow Lisa. 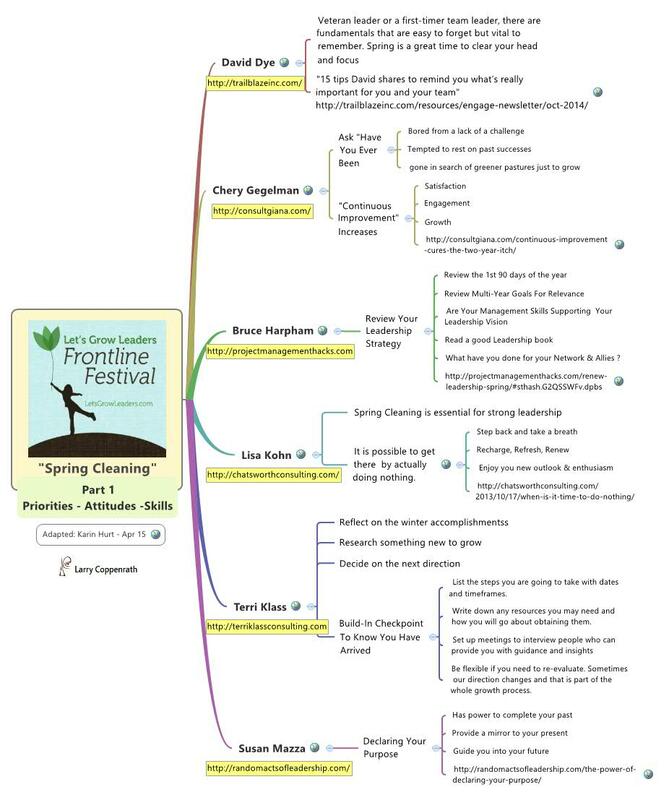 Terri Klass of Terri Klass Consulting asks if you’ve conducted your leadership spring tune-up? Follow Terri. Susan Mazza of Random Acts of Leadership advises that declaring your purpose has power to complete your past, provide a mirror to your present, and guide you into your future. Follow Susan. LaRae Quy of Mental Toughness Center shares that adding emotions as a component of mental toughness may seem at odds with the critical thinking that is required in the tough world of business today. But researchers are realizing that the key to lifelong success and happiness is the regular exercise of a single emotional muscle—gratitude. Follow LaRae. Spring reminds us how to make leadership bloom – our eyes are opened to the beauty of what is ahead. Soul Sparks are essential to tap into the beauty of leadership within ourselves and others. Thanks, Jon Mertz of Thin Difference. Follow Jon. Jeff Miller of the Faithful Pacesetters admits we can all get burned out at times. Is it possible we are not following the goals we had once set? Follow Jeff. Alli Polin of Break the Frame asks “Are you wondering if it’s time to take the alternate route or hang in there with your current direction? 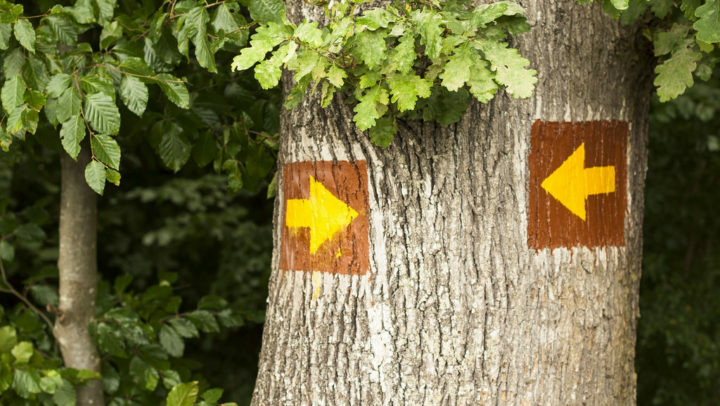 Here are a few truths to tap into during your decision-making process.” Follow Alli. Skip Pritchard of Leadership Insights posits that leaders have the power to choose seasons. As winter turns to spring, pause and throw out what is holding you back. Embrace the new season of hope because leadership requires spring cleaning of the mind even more than the home. Follow Skip. Linda Fisher Thornton of Leading in Context shares that actions such as eating healthy foods, exercising and getting enough sleep all boost our individual immune systems. What actions can we take to boost our ethical immune systems? And how could doing that help us create more ethical organizations? Follow Linda. 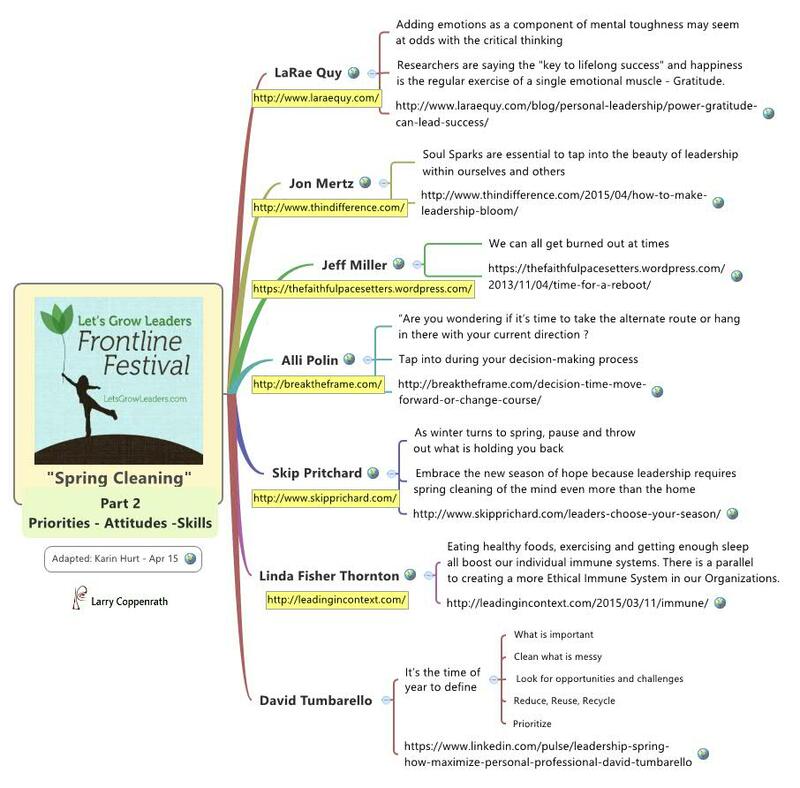 David Tumbarello at Tumbarello Writing Solutions shares that it’s the time of year to define what is important, clean what is messy, and look for opportunities and challenges for growth and gives some simple suggestions that may help the new and experienced leader clear clutter and allow priorities to rise to the top. Follow David. Beth Beutler of H.O.P.E. 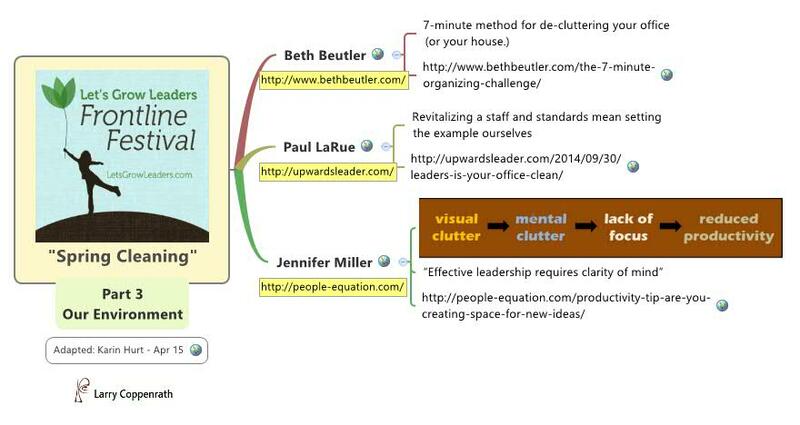 Unlimited shares a 7-minute method for de-cluttering your office (or your house.) Follow Beth. Paul LaRue of The UPwards Leader reminds us that revitalizing a staff and standards mean setting the example ourselves. Follow Paul. Jennifer Miller of The People Equation reminds us that effective leadership requires clarity of mind. 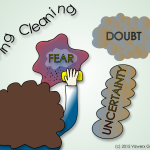 She explores the connection between physically cleaning the office and the resulting mental clarity that emerged. Follow Jennifer. Wally Bock of Three-Star Leadership tells us that human beings can’t go full speed all the time. Take breaks–it will make you and your team more productive. Follow Wally. John Hunter of Curious Cat Management Improvement shares that creating a system where continual feeding is not needed is great. But if that isn’t the state of the organization yet, then continual feeding is required: or your improvement efforts will fall short of the potential gains, or die altogether. Follow John. 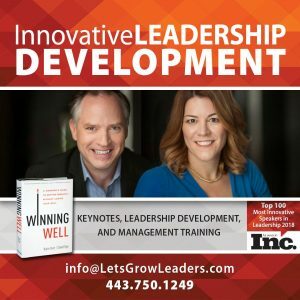 Matt McWilliams of Matt McWilliams Consulting asks, “Why do some teams seem to perpetually stay motivated while others fall flat?” This spring, make a commitment to keeping your team motivated with this one “secret” to great teams.” Follow Matt. Todd Ordal of Applied Strategy reminds us that Company culture is not something that just happens. Here is how a CEO can peer through the mist and build the one that they want. Follow Todd. Springtime reminds Jesse Lyn Stoner of Seapoint Center of fruit trees and the power of values-driven companies–or more accurately–the cost of NOT being one. It’s why her tree service company lost her business. 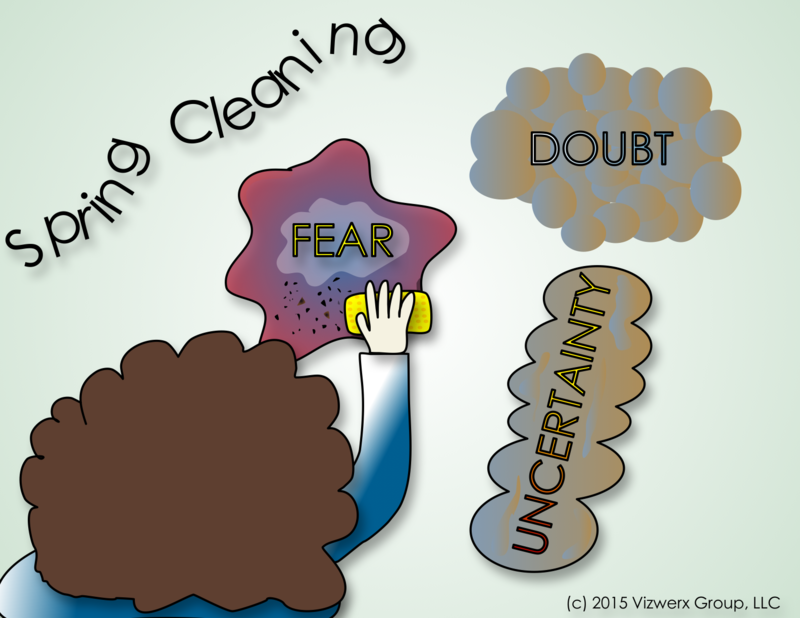 Here are 6 tips to clean up your team values. Follow Jesse Lyn. Thanks to Larry Coppenrath for the great maps of today’s Festival. Follow Larry (click images to enlarge). Call for Submissions. 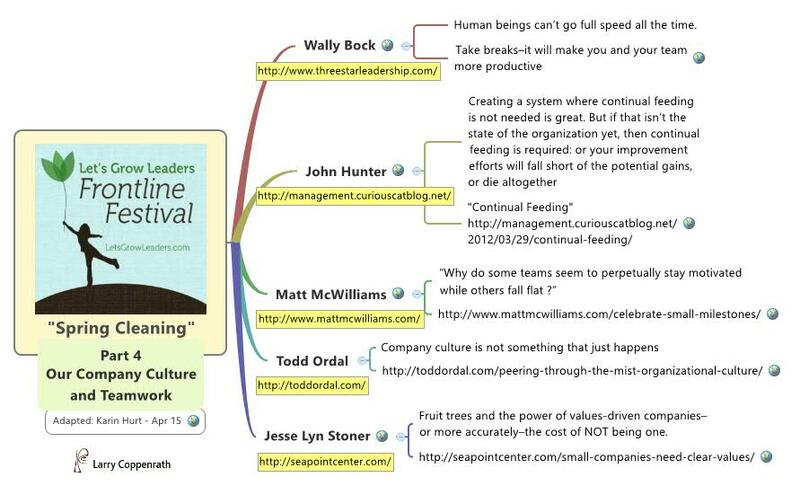 The May Frontline Festival is about Energizing Leadership. Please send your submissions no later than May 8th. New participants welcome. Click here to join in! 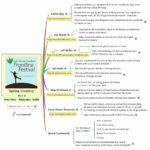 I’m excited to share that April 20th marks the launch of the release of a collaborative book, Energize Your Leadership, written by 16 thought leaders (many of whom are active contributors to this Festival.) Read the story of our collaboration here AND View the trailer. Succession planning, done well, creates brilliant competitive advantage. Poorly executed, at best it’s a waste of time, and often creates serious havoc on long term performance. Before you can decide WHO you need to be sure on WHAT. Think future vision and the competencies that will make that possible. Write them down. Then map your people against those possibilities. Choosing people for tomorrow based exclusively on today’s performance will slow you down. What often passes for “executive presence” is a desired mold. Be careful. Sure you want poise, effective communication, and a tidy together look, but the quirky challenger may just what you need to take your strategy to the next level. Too many like minds lead to uninspired strategy. If you complete your 9 box succession planning grid and it’s all balding white guys with a dry sense of humor in box 9 you clearly have a problem. If it’s a perception problem. by all means challenge one another and make it right. However, I often find this is less of an issue of discrimination at the succession table, than a problem with hiring and focused leadership development down the line. You can’t make anyone ready for the next level by talking yourselves into it or putting diversity multipliers on executive compensation. The worse thing you can do is pad your “grid” by sliding diverse candidates into blocks where they don’t belong. Sure, identify opportunities for accelerated growth to make up for lost time. But NEVER promote an unqualified person for diversity reasons. You hurt them, your business, and weaken your diversity strategy. A succession planning conversation without conflict is useless. The very best talent reviews involve robust discussion and lively debate which leads to important next steps (e.g. “You’ve got to know my guy better;” “She needs a stretch assignment.”) If I support your guy so you support mine, the business loses. Don’t short change your talent strategy. The right people, at the right place, at the right time, will change the game. Be sure you’re prepared. If you’re struggling with succession planning, I can help. I’ve facilitated hundreds of succession planning discussions over the years from the executive level, through merger integration, and at the frontline. Succession planning is worth doing well. Please give me a call for a free consultation, 443-750-1249. “What’s the best way for John to improve?” I asked, one of those coachy-interviewing questions people like me say to bosses and peers of folks we’re working to support. My advice: listen, breathe, and do. Stop looking outside for feedback. Even the best intentions taken to extreme cause harm. Don’t over-think your leadership. People are watching. You need feedback, and most people ask too little. And as it turns out, some people ask too much. You have no idea where you really stand. You’re blind-sided in performance reviews. You keep getting passed over for promotions and don’t know why. You don’t really know what your peers think about you. You have no idea where you stand with your bosses’ boss. Your team never shares constructive feedback. It might be time for a do-it-yourself 360. You keep hearing the same advice over and over. You haven’t had time to really improve. You’re ignoring the advice and asking again, hoping the advice will change. You’re addicted to the conversation. You talk more about you than about your team. You’re more focused on your own improvement than on improving business results. It’s a tragedy when leaders stop learning. Equally devastating is when leaders become more focused on their own improvement than on leading well.